Sometimes the right conditions occur to bring something extraordinary into being. This was the case with my avant-garde short film The Wanderer, a 1981 collaboration with the amazing athlete Mark Daniel. Both outliers, and driven toward unusual goals, Mark and I teamed up on a project that resulted in some remarkable cinematic achievements. The creation of our film, however, was the outcome of several years of previous efforts. 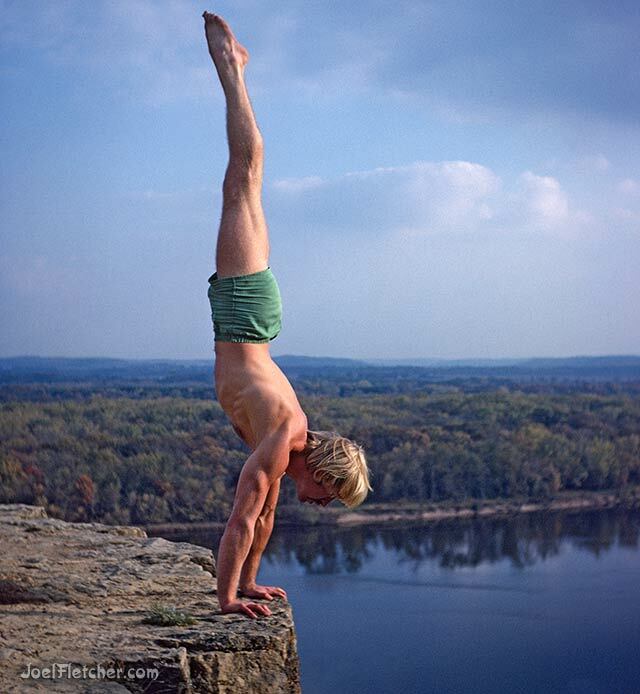 We had been friends since our high school days in Madison, Wisconsin, and Mark had been increasingly focused on fitness - bodybuilding, acrobatics, and particularly hand walking. His ultimate goal was to establish certain Guinness World Records, such as descending all the stairs of the Washington Monument entirely on his hands. As an aspiring filmmaker, I felt it was only natural to try to document some of Mark's feats on Super 8 movie film. Ultimately, I was able to chronicle a variety of his stunts - gymnastics, exercises, and numerous feats of strength including the pulling of cars while balancing on his hands. It is worth noting that Mark was a complete vegetarian, so his achievements demonstrate what is possible on a meatless diet! Mark Daniel performs various feats of strength! In 1977, Mark and I collaborated and took our work to the next level, a preliminary version of The Wanderer using Super 8. That rendering of the film was very basic - following Mark walking on his hands around various Madison locales. This initial effort was entertaining to shoot and a step in the right direction to the final product, but we needed some sort of story and vision. By 1981, I made the jump to the 16mm movie format by purchasing a Bolex camera. Armed with higher-quality equipment, and Mark performing at the peak of his powers, I wanted to make a statement. This time the film had an underlying concept: breaking free of convention through the power of the individual and his uniqueness in the world. Mark and I came up with a story that had some symbolism underlying the visuals. For instance, the opening sequence was not just that of a man walking down a long aisle of stairs on his hands. Shot in a football stadium, normally crowded with fans watching a game, the film portrays a lone figure performing an astounding athletic feat that no football player could ever imagine doing. That amazing individual's triumph was watched by no one! Mark's performance was unbelievable as he accomplished his herculean tasks with awe-inspiring style and charisma. The fusion of our labors resulted in a film the likes of which has never been seen before. 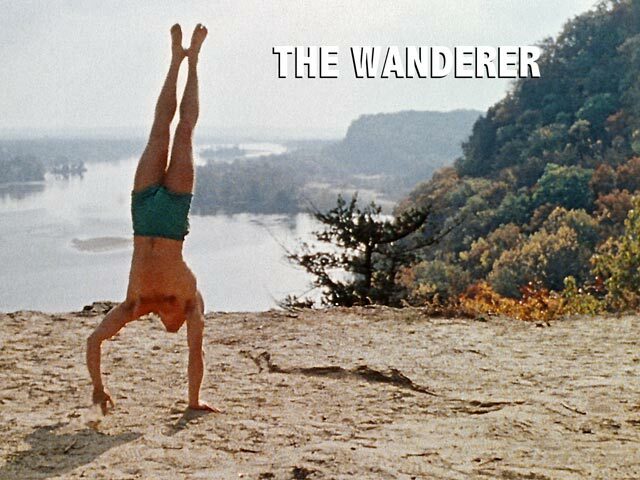 Although Mark never did complete his Guinness World Record goal, The Wanderer remains as a visual testament to one young man's truly incredible athletic exploits. Mark takes it to the edge. *In 2008, I made a digital transfer of The Wanderer from the original 16mm film. The powerful orchestral score is by Holst and Wagner, licensed from conductor Keith Salmon, and synched with the film's visual imagery. Since then, it has been viewable for an entire new internet audience.